Contemporary clean lines with quality, the Georgia six seat dining set has it all. A stylish ceramic topped dining table is paired with texteline, stackable dining chairs, allowing you to create a truly all-weather dining area in your garden. 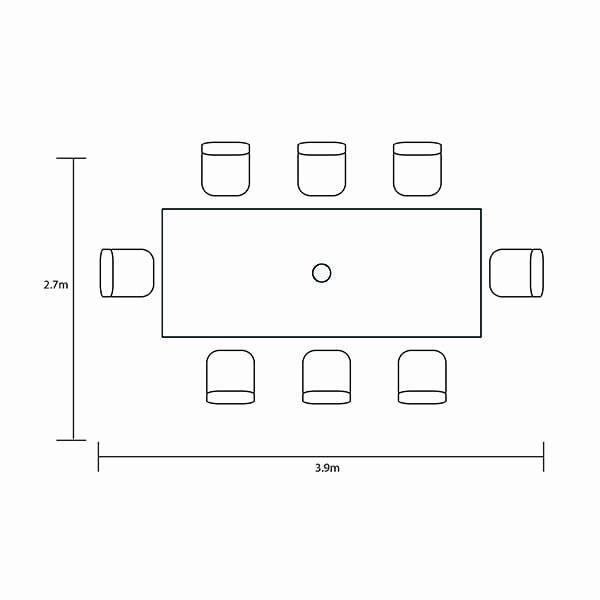 This set gives you the option of storing away and comes with a 3mx 2m Rectangular Premium Parasol and 15kg base.